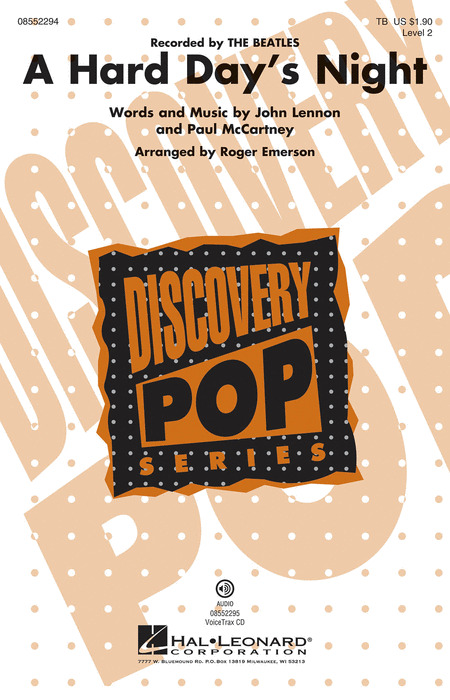 Young men's choirs will discover the authentic Liverpool sound of The Beatles with this #1 hit from 1964 and sound great in the process) Vibrant harmonies and rhythms and maybe even a little air guitar will add to the fun. Available separately: TB VoiceTrax CD. Duration: ca. 2:40.